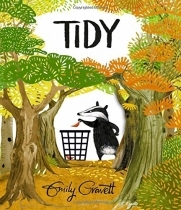 From the creator of Meerkat Mail and Dogs, comes a very funny rhyming woodland story about the perils of being too tidy.Pete the badger likes everything to be neat and tidy at all times, but what starts as the collecting of one fallen leaf escalates quickly and ends with the complete destruction of the forest! 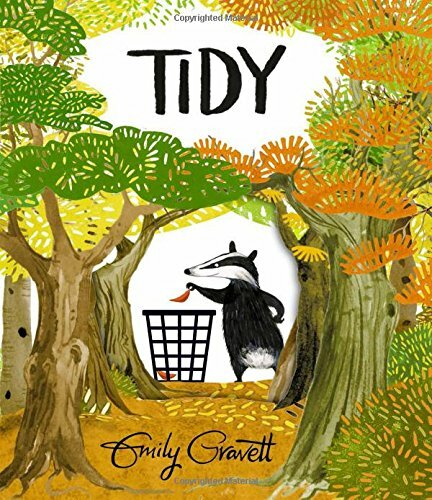 Will Pete realise the error of his ways and set things right?Lush foliage and delightfully funny characters abound in this dramatic tale of overzealous neatness that delivers its message of environmental preservation with subtlety and humour. The freshness and vibrancy of the illustrations, the endearing charm of the animal characters, and the many deft comic details throughout make this a very special book. With a sumptuous double-sided jacket and a breathtaking series of die-cuts from the cover through to the title page, once you enter this forest, you'll never want to leave.